I really am from the 'mixtape' generation. There was nothing better than having a mixed tape curated for you personally by a close friend who really knew you or wanted to introduce you to their music. There was no Spotify or Deezer and back then the highlight of the week was recording songs off the radio too - both from the top 40 and the John Peel show. Anyway along comes technology and even though I love my vinyl and still have many of those tapes – so many good memories I can't bear to throw them away – I also love streaming music. You can listen to other people’s playlists, discover new artists and download new tracks as much as you want. 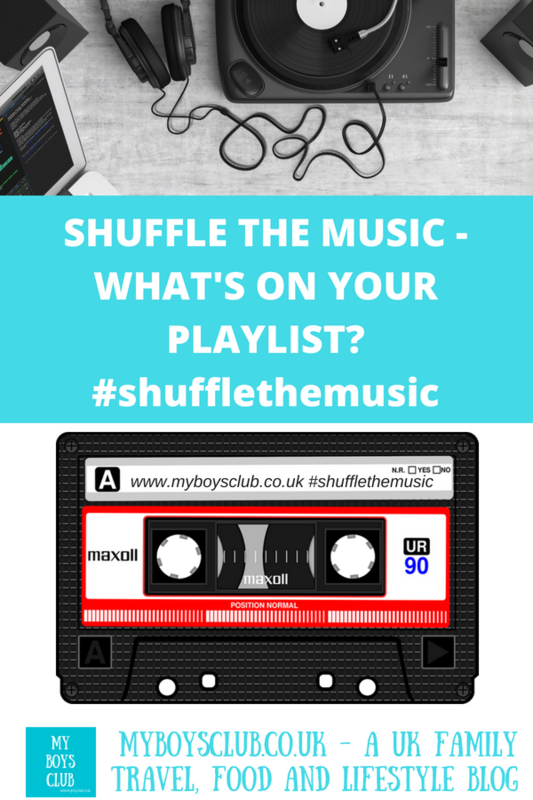 So I’m really pleased to have been tagged by Sarah from MummyCatNotes in a challenge to shuffle my music and give me the opportunity to think about and talk about the tracks I love to listen to. 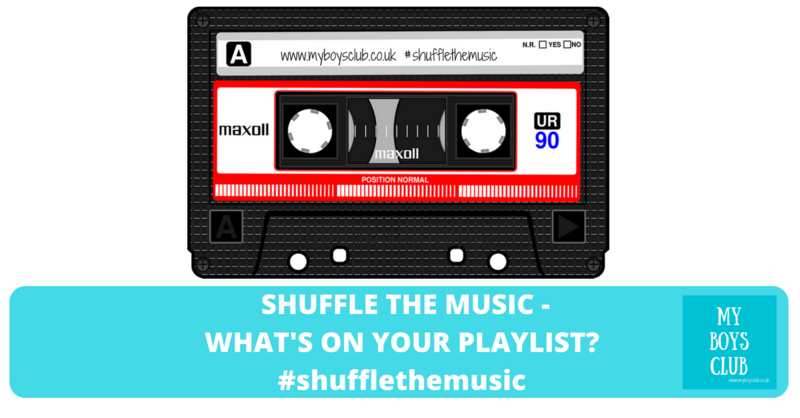 Shuffle Your Music - What's on your playlist? These are the first 15 songs that appeared on my 'Train Tales" playlist on Deezer - it's one that I've compiled over a few years and I've also downloaded so I can listen to it anywhere. I call it Train Tales as it's often what passes the time for me on long train journeys to London from Newcastle, and I also listen to it in the gym when rowing - I like to row for 30 mins at a time so I get a fair few tracks in. 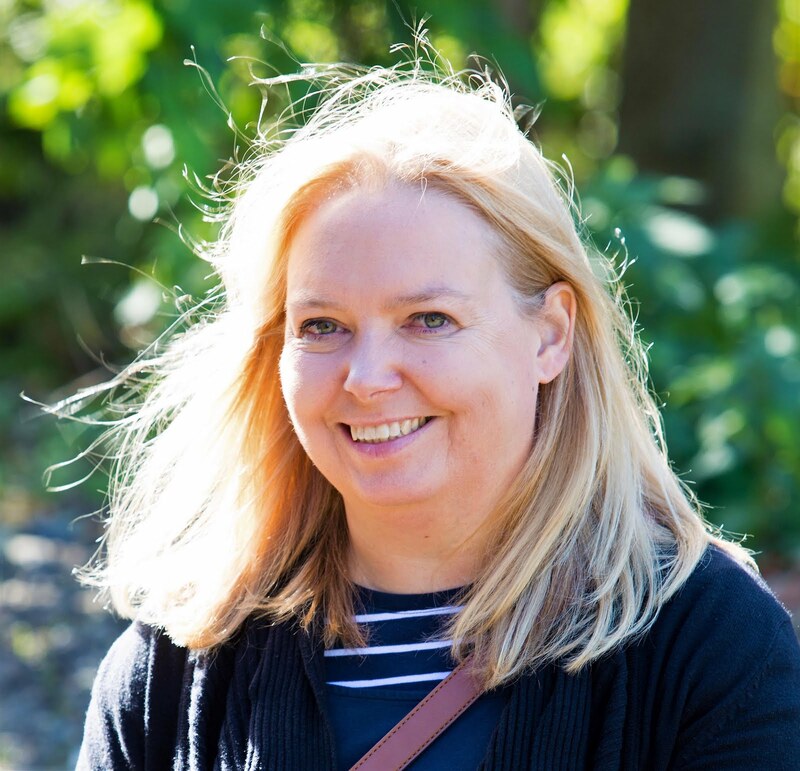 When I left Uni I worked as a volunteer for Radio Lollipop at Birmingham Children’s Hospital – this song was popular at the time and always reminds me of the hundreds of children and young people that I talked to on the wards when getting their requests for music to play on the station. Sixth form was never the same once The Stone Roses LP was released. It’s timeless and I still love it. I think most of the album is on my playlist but this one came up in the first 15. I don’t remember the original but its one of those songs that I know all the words to and can sing along too very loudly, and badly. A throwback to getting ready to go out with my best mate when in sixth form. A glass of wine, a few tracks to listen too while getting ready and we set for a night out at Timepiece or Boxes in Exeter! The early nineties were a great time for indie music, of the Honey’s Dead album this song and LP were part of the soundtrack to Uni life. Nights out at the Union, DJ’ing the indie club nights and being part of the ents crew – they were good times. It’s also apt for my playlist as it mentions trains – just realised that though. Perfect indie pop. Amelia Fletcher continues to be one of my heroes - academia and indie music is a perfect mix! This is from a film Breaking Glass starring Hazel O-Connor and Phil Daniels. I love the film and the soundtrack and can really squeal this one at the top of my voice! A childhood musical hero of mine even when he had a tortoise shell on his back. I was never one to like the current pop stars. I fell in love with The Teardrop Explodes at an early age and still love Julian now. His quirky performance a few years ago at Sage Gateshead was so good. One of the best. University has so many great memories and long with seeing Nirvana and The Pixies – neither of which have shown up my first 15 songs – this is one song that I still want to get up and dance to immediately. And yes sing along too. I love songs that are instantly recognisable from their intros, and this is one of them. I worked on a Lumiere Festival a few years back where we had a big orange sun as an installation. As I drove away on the final night this song came on the radio – pure coincidence but a great memory. Such a gentle, calming, beautiful tune and I love this when it comes on at the gym as it means I can take a small breather. If you're feeling stressed this is the tune to play. This is from before I was born but that doesn’t stop this bubbly song from the Canadian singer-songwriter being right up there with some of my other faves. I love the simplicity, her voice, the guitar. Pretty perfect. ‘Both sides now’ is also on the playlist but that one makes me feel sad now. I blame Love Actually for that. It's just fun. I love it. I added this to my playlist after seeing it an on advert. I can’t remember the advert or brand but love it every time this tune comes on. Nearly kills me every time I’m rowing but it got to be good yes. I defy anyone to listen to this and not speed up what they are doing at the same time. Great in the gym and on the dancefloor – but not so great when driving! A throwback to my youth. Loved it then and I still love it now. One of the first tunes I really remember from Top of the Pops Roddy Frame looked so nervous. Over now to Lynn, Rachel, Jo, Kelly-Ann, Melissa, Amy and Nicola can't wait to hear what music you'll shuffle!